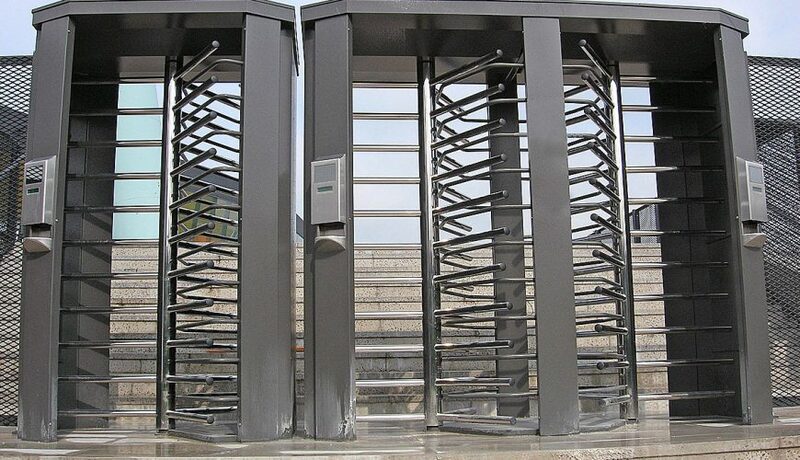 What are the Benefits of Building Site Turnstile? Home Construction Site Security What are the Benefits of Building Site Turnstile? Modern security systems for construction sites have seen a rise in popularity especially turnstiles and other Pedestrian Entrance Control (PEC) devices. They can come in the form of a completely new installation or a long overdue upgrade in the access control security system for the site. In the past the control of building or construction site access by visitors and workers has been hard to maintain. What is more, the theft of items on-site cost the construction industry millions of pounds every year. Bison Security has made a simple yet very effective solution to this issue in the form of a totally self-contained entry system that has a stand-alone access control as well as including recording software. The Bison building site turnstile includes a full height control system to manage the flow of workers inside and outside of the construction site, and an adjoining one leaf gate to let tools and equipment through the entry point. The gate and turnstile are powered and controlled by a computer access control system that is able to store the information of thousands of workers, and records the entry and exit of the aforementioned workers. This software enables you to assign access passes with diverse entry permissions for diverse classification of personnel, for example, guests can be given access cards that are valid only for one day, while construction workers can be given a card that allows admission to the construction site throughout the week and on any certain day. The need for several different levels of access rights are most likely to be necessary, and access cards therefore access times can be voided and modified at any time to regulate a persons access if deemed necessary. Who is on Site now? What are the Benefits of the Bison Building Site Turnstile? Our turnstile integrate easily with a construction access control system and other safety tools like cameras to make sure only authorised personnel can enter the facility. Our turnstiles boost construction operations through streamlining the admission or access process; this allows the guards to be effective and efficient with their time on-site. What is more, the turnstile is also capable of accommodating an extensive selection of credential readers such as magnetic stripe, barcode, biometric, and proximity. Turnstiles that are equipped with readers allow the user to show their credentials to achieve entry to the premises or site. For more please see our clients’ testimonial page.